Let's assume you have an Angular 2+ app that was created using the Angular CLI. The CLI gives you easy access to a build command that makes it easy to prepare a project to be deployed to production. 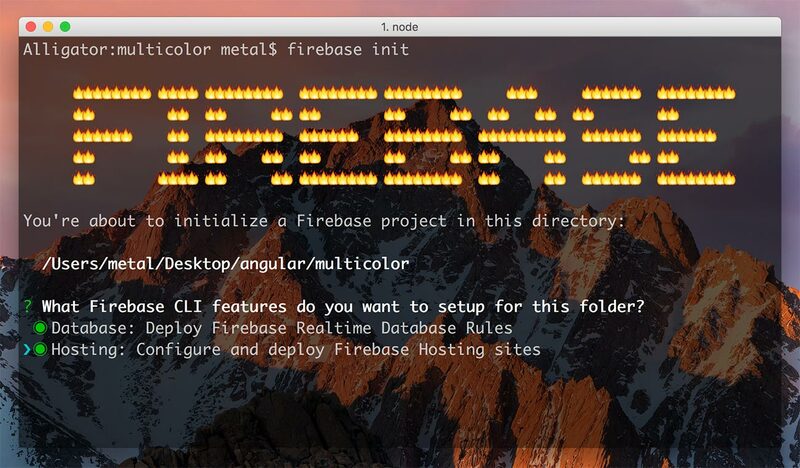 Then, the Firebase CLI npm package makes it a breeze to deploy to a Firebase Hosting instance. If you haven’t already, open up a Firebase account account, go to the Firebase console and start a new project for your app. Database rules file: You can keep that default file name that they provide, or change it if you prefer. This file will be created and will contain the database rules for your app. Public directory: Type in dist, because this is where your production-ready Angular app assets are. Configure as single-page app: Most of the time you’ll say yes (y) for this one.